SmartHotel360 is a fictitious smart hospitality company showcasing the future of connected travel. If you are a developer who wants to use our best-in-class tools to build open, scalable and intelligent cross-platform apps with a reliable Azure back-end, download the SmartHotel360 reference sample. The code is built using a microservice-oriented architecture orchestrated with multiple Docker containers. There are various services developed in different languages: .NET Core 2.0, Java and Node.js. These services use different data stores such as SQL Server, Azure SQL DB, Azure Cosmos DB and Postgres. Watch the SmartHotel360 Demo App Overview for an end-to-end summary of how SmartHotel360 works. In production, all SmartHotel360 microservices run in a Kubernetes cluster, powered by Azure Kubernetes Service (AKS), as shown in this architecture diagram. Start by trying our app in our sandbox environment, or build and deploy the app and services to your own subscription. Build cloud apps using microservices and take advantage of automated deployment, scaling and management of back-end services containers using Kubernetes and the cloud. Simplify development of easy-to-use public websites, improve performance and increase security using ASP.NET Core 2 and serverless functions. Build high-quality, fully native Android, iOS and Windows apps, tapping into the back-end building blocks that you need to scale and grow with Visual Studio. See, hear, speak, understand and interpret your user’s needs – such as at hotel check-in – through natural means of communication using computer vision and text analytics. Elastically and independently scale throughput and storage across any number of Azure’s geographical regions. Code in any integrated development environment/language and build apps for any target platform. Continuously integrate and deploy with Visual Studio Team Services and Visual Studio App Center. Watch Scott Guthrie and other Microsoft engineers debut the SmartHotel360 solution at Connect();. See the entire solution at a glance and learn how we built SmartHotel360. Discover how ASP.NET Core 2 and Azure Functions work together to enable the public website. Learn to build and deploy any platform using Docker containers and Kubernetes. 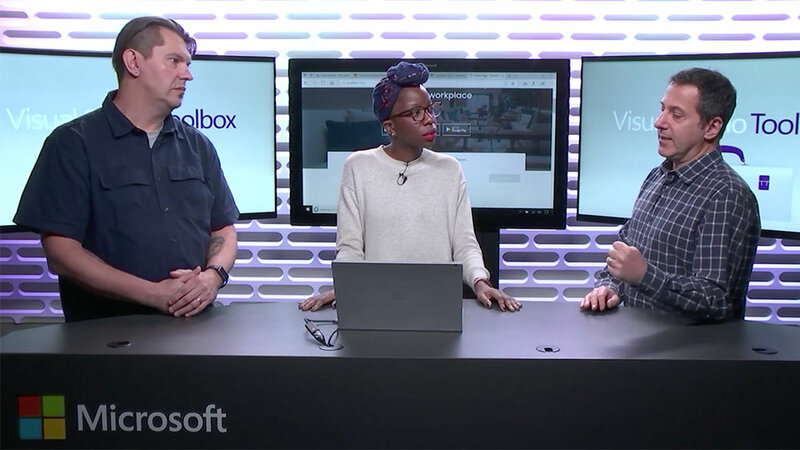 Find out how mobile apps are built and continuously distributed using Visual Studio App Center. See the immersive dashboard experience built using mixed reality on top of data collected by the SmartHotel360 set of apps. Quickly create powerful cloud apps using a fully managed platform. Detect sentiment, key phrases and language from your text. Extract rich information from images to understand visual data. Develop using a multi-model, geo-distributed NoSQL database. Discover serverless technology that scales on demand. Plan better, code together and deliver faster. Ship higher-quality apps faster and with more confidence. Use a free, open source cross-platform solution to build any app. Take advantage of containerised microservices with Kubernetes. Deliver native cross-platform apps using existing skills, teams and code. Take advantage of best-in-class tools for any developer. Discover a free open source code editor that runs everywhere.